Okay, garden lovers. You have been patient long enough and the time has arrived. That’s right, it’s time to stop daydreaming about your spring garden and get started. Before you can start planting your spring garden seeds, you need to make sure you have everything you want to plant on hand, and to make sure that the seeds are viable. 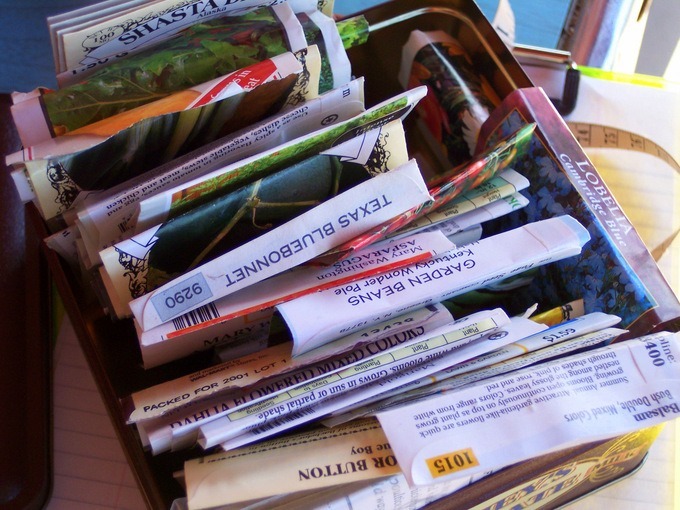 First, check the packets for all of the seeds you intend to use this year. Somewhere on the package – usually on the lower flap on the back – you will find an expiration date. While it is possible that the seeds may still be viable after that date, the likelihood that they will germinate and be productive diminishes greatly after that. The seeds we make available to you are always GMO-free, from trusted sources that we use ourselves. So no matter what your favorite spring garden vegetables happen to be, we have an extensive collection of seeds from some of the best, most reliable seed companies in the business including Botanical Interests, High Mowing Organic Seeds, and Territorial Seed Company. It just makes sense that the same website you trust for information on how to grow your favorite vegetables is the place you want to go to get your seeds as well! When you’ve got your garden plan committed to paper, use these quick links to order the seeds you need. You’ll have them in plenty of time to for seed starting for the spring garden.